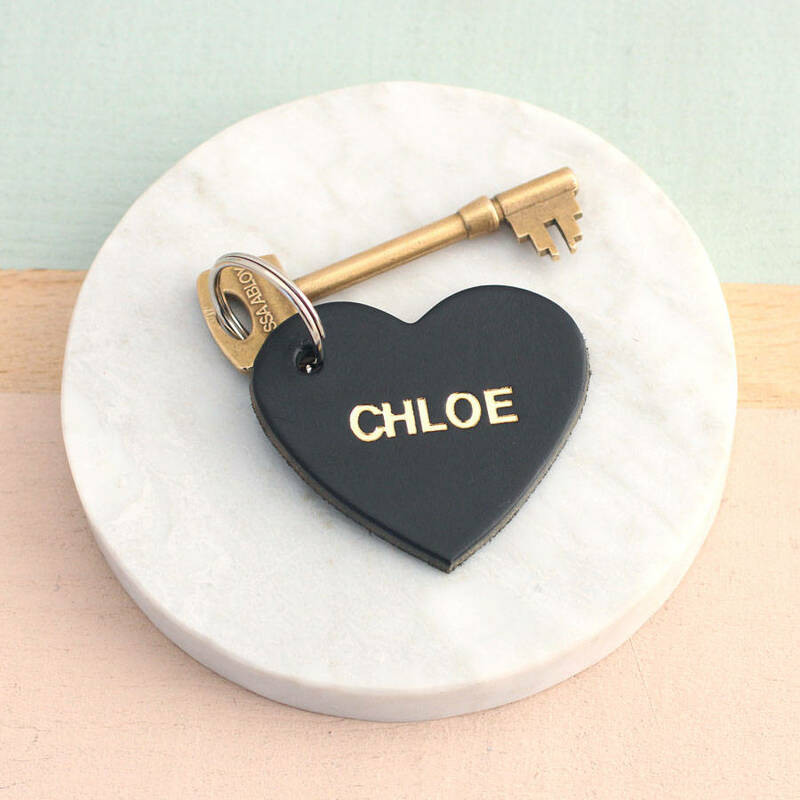 A beautiful Personalised Embossed Leather Heart Keyring. 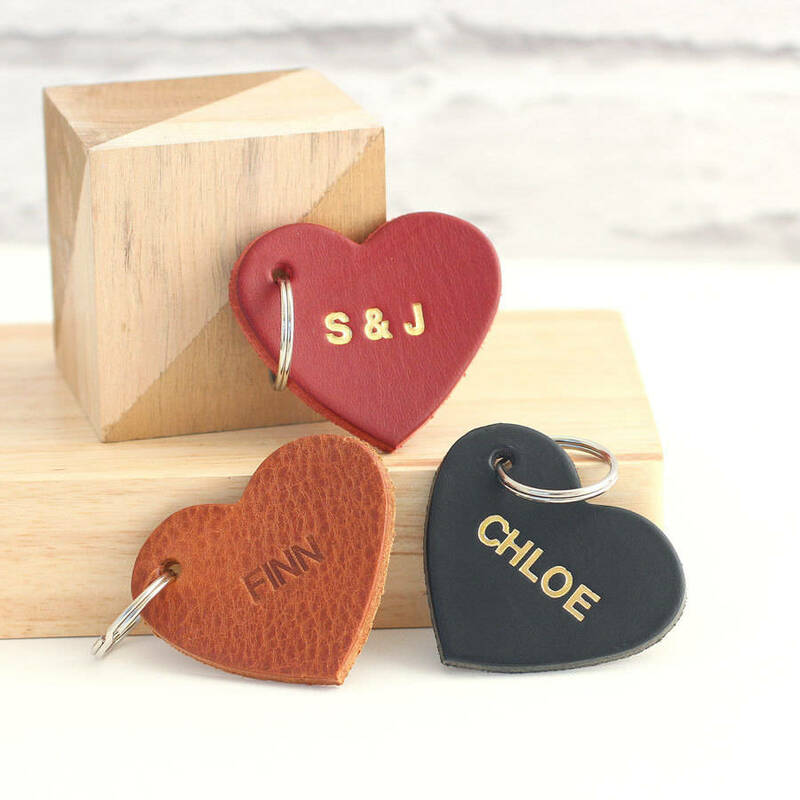 These gorgeous leather keyrings are handmade and embossed at our studio with your personalisation. An ideal gift for an anniversary or birthday, these keyrings are made from real leather and come in a choice of colours. Choose to have gold lettering or standard embossing. 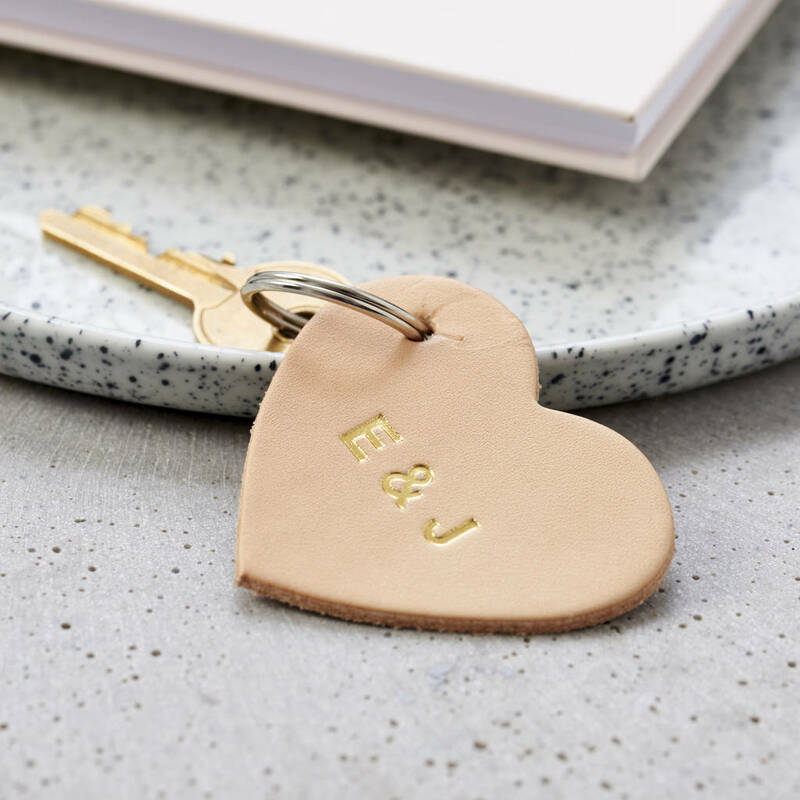 Customise your keyring with a name, anniversary or initials. 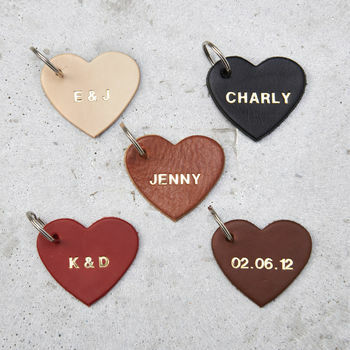 Choose from Red, Tan, Dark Brown, Natural and Black. Standard Embossing or Gold Foil lettering.